Recently, I became familiar with the term ‘Flexitarianism.’ A flexitarian, according to Wikipedia, is someone who decreases meat consumption without eliminating it entirely from his or her diet. Here is an MSNBC article “Meet The Flexitarians.” This basically describes how I already eat. I have some friends who consider themselves vegetarian, ‘vegan’ and a few who are ‘raw vegan.’ I respect their beliefs and place a similar value on meals that are fresh, natural and health conscious. I try to shop at environmentally aware stores such as Whole Foods and enjoy a lot of healthy meals, especially here in New York where there are a good number of high quality organic and macrobiotic restaurants. I understand the need to move away from a typical processed, saturated, meat heavy diet and be more aware of where your food is coming from. However, I refuse to label and limit myself in such a way. When I visit great high quality, upscale restaurants, such as Lola in Cleveland, Les Halles in New York or Chez Panise in Berkeley, I don’t want to only order the token vegetarian selection. That would feel disrespectful to the chef and the art of cooking itself. And the same applies to my frequent travels to Asia, Europe, South America and Australia. 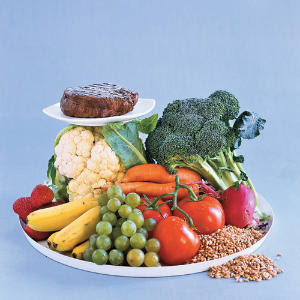 I’ll make sure to eat a lot of natural food such as vegetables, but also seafood, poultry and less often, red meat. Part of experiencing the culture is enjoying the dishes indigenous to these regions. It is the raw vegans who I am simultaneously in awe of and occasionally annoyed by. I see their point and admit to feeling especially energized when I eat good organic raw food. But I refuse to limit my diet to it and am turned off by some who seem to be on a religious like crusade to convert others to their way of life. There is however, one special restaurant I recently tried in New York, called Pure Food & Wine which alters my perspective slightly on raw cuisine and its practitioners. While it may not have convert me to a ‘raw vegan’ lifestyle, it inspires me to want to eat more healthy, more often.Sarma, the charismatic young co-founder/owner/mascot of Pure Food & Wine, has a blog post that makes a lot of sense. She’s also a fan of classic Metallica. It is refreshing to hear from a raw food specialist who is not ‘cult-like’ about her beliefs and more or less ‘flexitarian’ in nature. And the more I think about it, the more I realize that “flexitarianism” describes how I feel about a lot of movements, musical, religious,philosophical as well as dietary. It represents getting what you can out of a practice without being controlled by its limitations and unrealistic expectations. For example, I’m a metal guitarist who is seriously into jazz but can’t stand the stubbornness and prejudices that exist among certain fans of both genres. If I play metal, does that mean I should cover myself in tattoos, be culturally illiterate, drink beer all day and date strippers? If I play jazz, does that mean I have to avoid all other genres of music and say ‘dig’ every other word? Similarly, I like to take a yoga class now and then. But I don’t want to practice it every day, wear yoga-like clothes and hang out with yoga disciples who live in communes and ashrams. Judaism, the Christian principles of forgiveness and love, the honor emphasized by Catholicism and the wisdom of Buddhism, Hinduism, Islam and other Eastern religions. Group based movements of all types try to enforce labels on people, place psychological pressure and incorporate decisions that should be up to the individual. It is the strict rules, restrictions and disqualifications that put me off from these movements, as well as those who follow the rules like blind sheep. I was a “part-time” vegetarian for most of my adult life and I’m going back to it for health reasons. I was always annoyed by vegans who basically tried to guilt people into their belief system. What is right for one person is not necessarily correct for someone else; otherwise I guess we would all be clones (what fun would that be???). In medicine it is being recognized that because of our individual biochemical differences people need different medications to treat the same illness (hence the push for individualized medicine). I bring this up only to say that our needs, likes and dislikes are as deep as this. I always thought most people are too extreme on the subject of religion. I am a Deist; I do believe there is one Supreme Being, but I don’t believe any one religion has all the answers. I do believe each one has a piece of the puzzle, so each one is worthy of respect. I don’t agree with blindly following someone or something just because they claim to know it all or that’s the way it’s always been done. We as humans have a wonderful tool- the brain- and the best way to become better humans is to use this marvelous instrument to think about our actions and those of others and do things that make the world better. Also, to try new things and make up our own minds about different aspects of life. There are people in the world who really want power and they enforce it by making others feel that they are wrong, whether in small things such as choice of clothes or large things such as philosophy and religion. Add to that the very innate need for people to put things in categories to understand the world. Many people feel uneasy when something (or someone) doesn’t neatly fit into a category. It seems to me a very limiting way to deal with the world. The world is usually kind of messy, so adapting to things as they come seems the best choice. Everything in moderation still holds true, I think. Anyway, we are all on this ride we call life only once, so it seems a pity not to try a little of this and a smidgen of that! Viva los Flexitarianos! Thanks, I like your concept of being a ‘Deist.’ I’m basically the same way. And very true about things and people fitting neatly into categories. the world is very messy indeed and categories don’t help at all. "Flexitarian" is a nice and appropriate term for that particular eating slyle! I think it is based in "Tolerancy". I do consider myself a flexitarian in many ways, and I agree with you in that this is the way to go! Everything in life has to be looked at in a critical way: considering its pros and cons and what is best for a particular individual. Blind and radical beliefs (not just religious) most often lead to nowhere, as opposed to an approach based on tolerancy/flexibility. When I studied in the UK I noticed a strong tendency of vegetarians to indoctrinate anyone into vegetarinism – I always hated that. I was never critical of their eating options, I just accepted it. Just today I was saying to my students that flexibility and commom sense is important in the veterinary profession, but I truly think that it applies to most things in life. But isnt flexatarianism a label also? Also if you say disrespectful to the chef, but hasn't the chef who prepared your food, either aware or not been been disrespectful to the environment and animal welfare, would you kill the animal yourself more humanely or turn a blind eye and pay someone else to rip off the chickens beak and boil off the feathers and coop them up so they never see daylight? Isn't education & raising awareness more important and finding new ways that are healthier, less cruel and sustainable? Being an intelligent guy I am sure you know of the environmental destruction caused by commercial meat production and toxic chemicals and animal welfare cruelty issues involved although you are not mentioning those, in this post, only the impact on your own health or depth of life experience. Seek first to understand then be understood. Your tolerance is commendable but it is good to appreciate that sometimes if people feel strongly about an issue they need to draw the line as to what is acceptable and what is not. Not consuming meat or dairy for example and finding plant based alternatives is a pro-active form of activism. But we are each on our own path and is is good to see you are on a plant strong diet which makes a huge difference to your own health and that of the planet and animals we share it with and letting people know the benefits of it. Just to quote His Holiness The Dalai Lama: The best religion is the one that makes you a better person. And I guess it applies to everything in life not just religion. I am not religious at all but flexibility, tolerance and common sense will certainly make one a better and healthier person. Flexitarian…Unitarian …It's all relative, understand Einstien Theory of relativity and unlock lifes secrets. We live in a full color universe so why do so many people think in black and white? Grey areas leave me cold, but the are un denyable; the spectrum of choices require our own personal conviction. Mozart was most likely an outrageous rock star in his time a precocious child, now we just pull his music out and think.. Chick corea changed the standards for jazz in his youth, and now a days 6 year old children can do drums just like thier rock star parents. My son plays the didgerydoo, your kids will play guitar. Exposure , environment, it's all relative my family never bought sugar, they believed it was evil….can you imagine? Interesting post as usual 🙂 I'm veggie ~ have been since I was 13 but contrary to the "preaching to others" view I couldn't care less what others eat ~ it's purely my individual moral choice. Over the years I've found myself more often than not having to justify that choice to others; invariably as we're all eating and which can be extremely annoying as I don't want to enter into polemics but just want to stuff my face;) I've realised that I've been veggie now for so long (30 years) that my view of what "proper" meals should consist of is also against the grain (in the UK particularly, there's a "meat and 2 veg" mentality and as a veggie you're expected to just replace the "meat" with soya-based substitutes, rather than have something completely different!). Do you do much cooking yourself Alex then? This is me in a nutshell. Much of what I do is a combination of different things I am exposed to… and that's what makes me "ME" and different from everyone else. It's not that I pick and choose bits that I prefer, it's more what I absorb over time and how it meshes together- each bit influencing the other and creating an individual like no one else! I live by this rule! Don't make life harder than it already is, but whatever you want to make the effort of doing, is a really great start! I'm definitely a "flexitarian" in many things. I don't like to be labeled and don't like to label others. I tried to be a vegetarian, it did not work out! I only avoid red meat now but I agree that by limiting yourself on anything you miss out on a lot of flavors whether gastronomic, musical, or socially. Yes! You said just how I feel about diet 'isms' and you said it well. Thank you. I completely agree with this 100%. I also believe that people should explore different areas of cultures, religion, music etc. Instead of like you said being exclusive to certain things. Personally, I eat red meat. Not a lot of it, but I eat it. I get most of it from the taxidermy my mom's boyfriend owns though. So it's all fresh and not pumped full of chemicals and the meat is very lean. I wish "eating healthy" wasn't so almost cult-like. It's something that everybody should be doing, for themselves to stay healthy. Instead of enjoying Taco Bell's "Fourth Meal", yeah not hungry? Go shove another taco in your face hole. You ARE living a well-balanced life, Alex. I think maybe it's easier to become extreme, at least you can just put all your energy into one thing and don't have to think about all the other options, and it may make you believe that you are sincerely acting your belief, thus make you feel "superior". But obviously, no one likes it when somebody tries to shove his/her own belief into them, even if it is to promote the supreme goodness (if something like that ever exists). I have been using 100% organic/natural cosmetic for many years out of sheer necessity, and I once tried to convince all my friends to give up on all the chemical "shits", explaining all the harm from the "bad ones" and all the benefits you can get from the "good ones", because I myself experienced some kind of magic, but now I'm partially using those "unhealthy" stuff as well as it's not going to kill me anyway and I know blind faith can only make myself feel "trapped" or paranoid in the end, although I'm still a very faithful fan of a certain organic cosmetic brand. "Modesty" is the word indeed, especially when there are so many conflicting theories and myths regarding health (and many others things). I'm far from being experimental and I sometimes go absolutely crazy when I'm into something, but I also have too many diverse interests (or get too easily distracted?). I try hard to keep my life balanced and exciting at the same time everyday, and I for sure learn a lot from your wisdom. In really, all peoples have the free-choose ! Any thing did in excess is bad. In the food question : is possible put in your day-by-day simple things that make more better your life: exchange sugar to natural-sugar or cristal-sugar, eat some vegetables differents, two time on week, workout (fitness,gym or other). Same some fat is good and meat too. If you want one idea to juice: kale juice ( one sheet with 2 water finger, on mixer, drink only the green juice – is good for skin and stomach) and for you that like to drink wine : before you go to restaurant, drink one spoon with olive – the olive dont permit alchool to glue on wall stomach, and you dont be drunk fast lol !!!! Religion is very difficult speak about, because for me dont exist bad or good religion, exist yes, something that give peace for your heart, some peoples talk that is "God", "Budah", Maomé, others Jesus, Jeovah, Tupan, Shiva, Ganesha, etc…and everyone need keep the faith in something. …And just a sad bit : we, brazillians, have the Amazon, and we doesn´t know to use the big part of their possibilities to food and health without to died the forest! It´s a shame. A modicum of _everything_ is my philosophy. As for terms like "flexitarian", I still think you're an omnivore, what's the need for a new word for it? I found that I've been a Flexitarian actually. I can live without eating meat but I never bring my peanut butter sandwiches to a BBQ party. What Anthony Bourdain wrote in Kitchen Confidential about Vegetarian was very funny to me. Never mind what people say, you are just you are. So there IS is a name for what I am. Never knew that – thanks! There are so many things in life where I respect and take parts in being a bit of without committing to the whole idea of truly being entirely in that genre. I've excluded red meat and veal as my own choice from my diet and also have almost excluded fried and processed foods also. I go back and forth and cheat here and there, but try to remain health conscious. I have always respected the various beliefs of many religions and love being exposed to various events of many cultures that follow their religions. The diversity that one can embrace within themselves and what is out there in life is quite unique and always interesting to me. I don't agree with always "labeling" or stereotyping people for what they do. I make light of the positives and if it helps me – then I take part in it to a point where I don't lose my own individuality in things. So I like being Flexitarian! Its great to read all your unique takes on this. There really seem to be a lot of like minds out there. We could start our own anti-movement movement. Of course, it would then become a movement and defeat its own purpose (anyone read Joseph Heller's novel Catch-22?). So there is big news: pack up your things, we're moving! SkolNotes posts will be appearing in a new location (to be disclosed soon). You'll be able to access and comment on new and old posts there. Also, we'll be able to have separate threads for conversations specific to a certain comment. This will be a big improvement. We're still ironing out the last minute details as we transfer the blog. In the meantime, this current site will remain up and isn't going anywhere. I'll announce all the details in a post in a few days. I'm looking forward to staying better connected via the new site. Thanks again for your great comments! And, like the food labels we follow, most of us have many ingredients and are processed by different standards and environments. Some are fresher and more colorful than others. The young, raw and transparent by nature can grow and become over processed and lose natural appeal. How one is raised can have lasting effects. Exposure to a good wide open range of thoughts and ideas vs a closed compartmentalized one can have varying and lasting consequences and outcomes that impact our original ingredients. Some require more preservatives or injections for improvement. Over time the byproducts can impact taste and appeal. And, if not fertilized and protected with doses of reliable additives for enhancements, the fresh and pure can become sour, distasteful, rot and die or chance turning toxic. Claims of authenticity may be hard to swallow judging by appearance alone where an artificial and over processed flagrant flavor actually exists. But, paying attention to the properties that distinguish our ingredients and make up our basic substance is worth conservation to avoid decomposition. I'm sure you know all that and you were not bad too, when you were 20 years-old like me…the reason i'm writing here is just because i don't like generalizations (think they're excludent) and because i'm part of a group that you told up there “the vegans”…and i'm here to share my experience. The reason i'm vegan is because i hate animal cruelty…and i don't think it's right to take someone's life just because our palate told us so…think that there are some rules that must be broken…principally those old-fashioned onesthat have no sense…got a lot more to say…but i think this is enough. I'm sorry if something sound ofensive…it should not sound like this. May I ask something? Only asking since religion was mentioned. What are your thoughts about Jesus? Do you believe he died for us on Calvary's Cross? Just interested in your thoughts about this subject. By the way I have been a fan for awhile. When I heard The New Order for the first time I knew I had another hero. Your legato technique is absolutely insane! What was your favorite song from that album?